In the wild, felines like tigers and leopards are dependent on a few things to keep themselves safe while hunting and hiding from hunters themselves. This definitely includes their fur, which is patterned and colored to disguise them in bush and jungle. But domestic cats don't really have that problem, do they? The only thing a domestic cat would truly need to camouflage himself or herself from is the dog, a curious toddler, or the prospect of a bath. Needless to say, camouflage isn't really crucial to their survival. That considered, it's what makes this post so hilarious: Though this lazy house cat doesn't need to be hidden, it's coat has done it a favor. 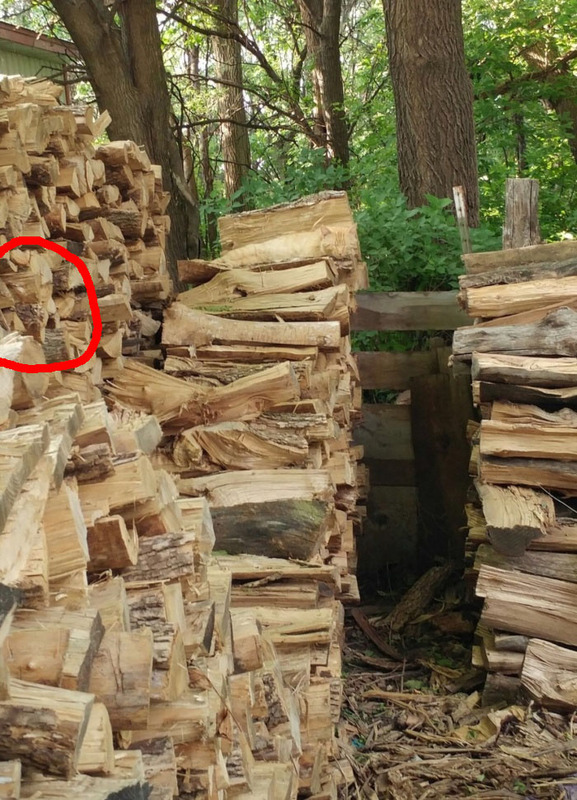 Check out the images below and see if you can spot the hidden cat. Here's a hint: It's definitely not in the place that you might think. 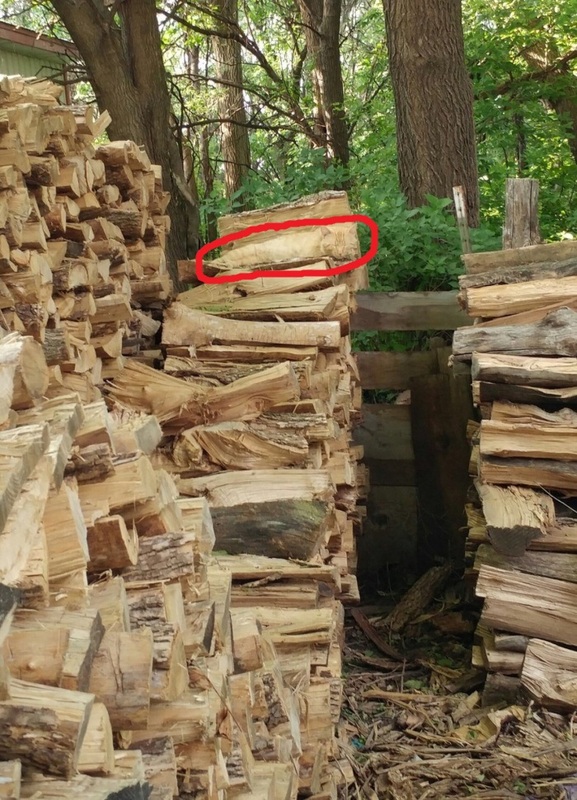 Check this out: It looks like a regular old stack of firewood, not a single cat in sight. Still, we promise he's there: Can you spot him? Our first instinct was to look in the dark space between the two stacks. It seems like a good place to hide, and cats tend to enjoy being tucked away. However, we still can't spot him directly. Are you ready for the answer? Scroll down if you just can't search anymore! There he is, in all of his cut-wood-colored glory. It's amazing how seamlessly he blends in to the mix -- and that's probably exactly the way he wants it.